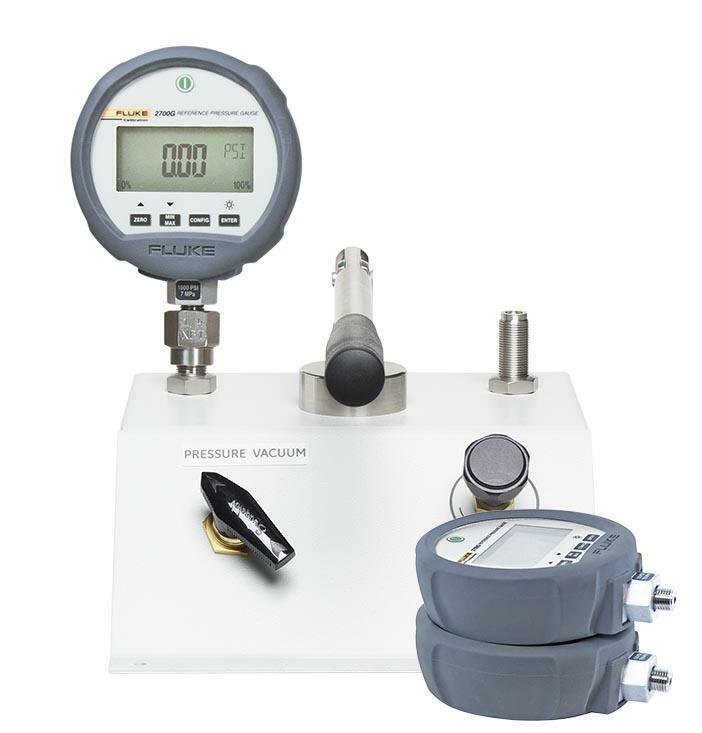 This pneumatic comparison pressure calibrator is available with up to three 2700G Reference Pressure gauges. 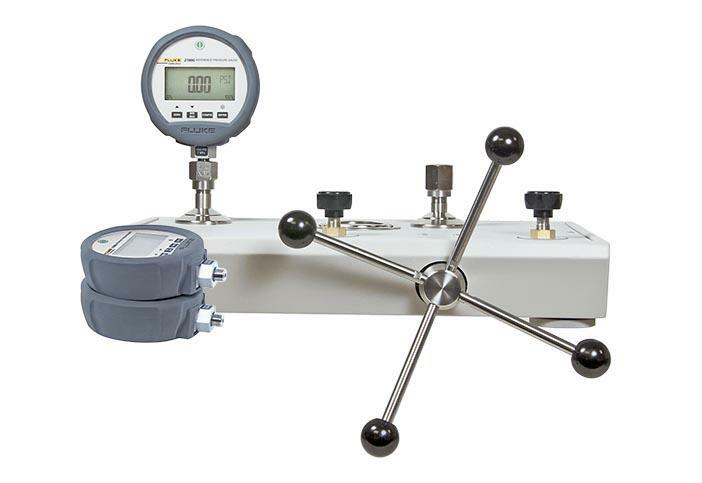 This cost effective instrument provides precise control for important calibration requirements and includes many features found in our popular line of pneumatic deadweight testers. With operation up to 3000 psi, it can be used to provide clean testing of process critical instrumentation. 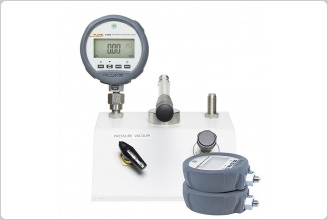 Note: Unit requires pressure source (i.e. nitrogen bottle) for operation.